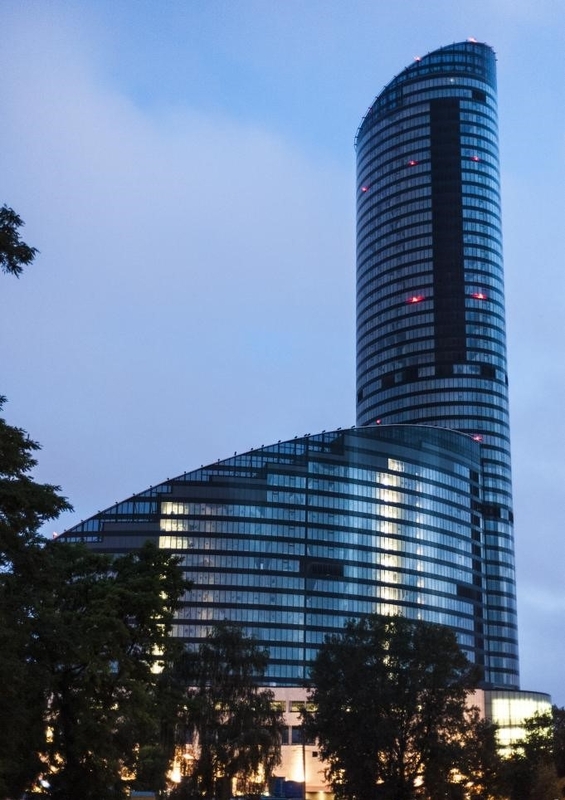 Sky Tower is an amazing, modern building and place that becomes an iconic tool on the map of Wroclaw. 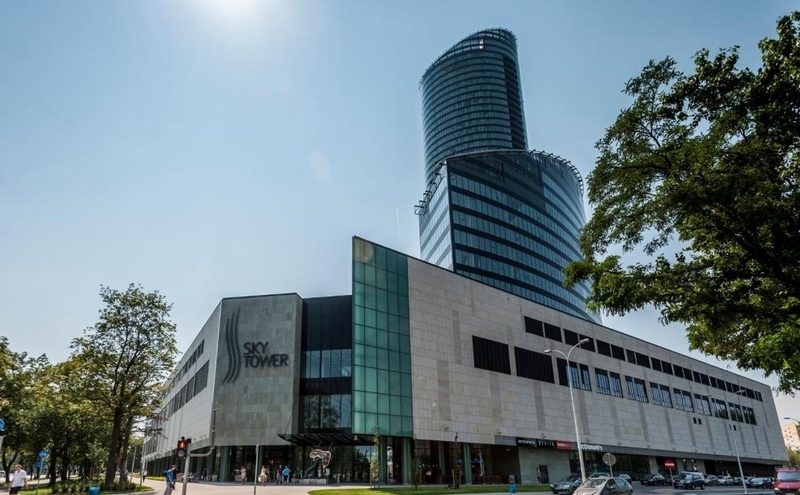 The glass tower is located at Powstańców Śląskich-Street, which is one of many advantages. For many residents it is a place for social and business meetings. 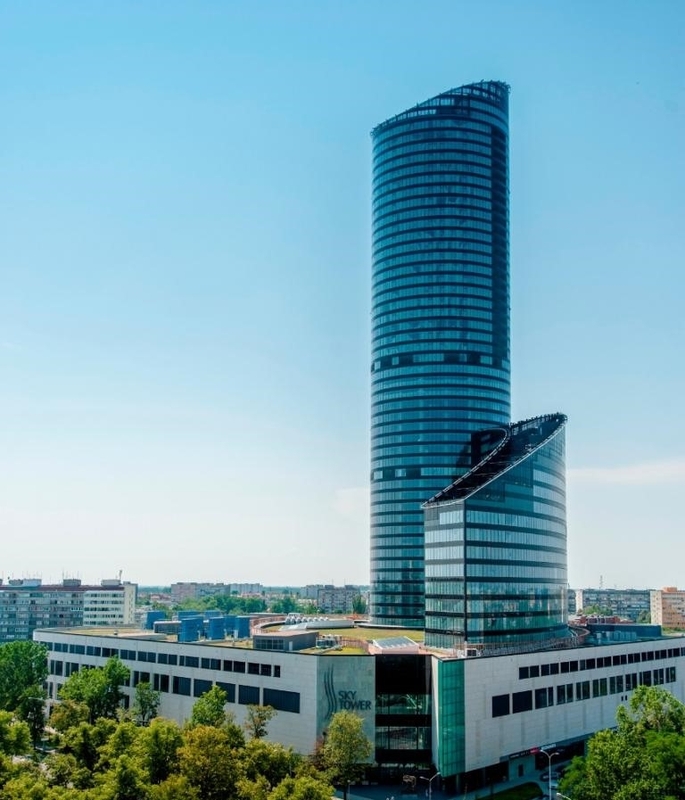 Sky Tower is primarily an office building, it belongs to the highest architectural complex in Poland, which also includes a residential part and a shopping gallery. It consists of over 200 meters and has 50 floors. The office part of the complex has an area of ​​28,500 sq m, and the residential part consists of 240 apartments. The shopping mall is 25,000 sq m, which includes many shops, service facilities and restaurants. Sky Tower viewing point to the obligatory position for every tourist visiting Wroclaw. To the starting point at the level of about 200 meters, which overlooks the bustling agglomeration. Accommodates up to 50 people, and you can reach it by a high-speed lift. In the Sky Tower, you can not only rest, spend a business or social meeting, you can also get culture at a world-class level. Before the entrance to the Gallery stood a sculpture by Salvador Dalí "Profile of Time", measuring almost 4 m and weighing 1300 kg, cast in bronze. It is a continuation of the image leading to the titles with the title "Durability of memory", and also known as "The flow of clocks". APP-Projekt S.A. supported Investor LC Corp Sky Tower Sp. z o.o. with cost control, investor's supervision, bidding and construction management.